Hotline Miami 2: Wrong Number Trailer - Team Fortress 2 Style! Valve's Team Fortress 2 was more than just a fun little multiplayer game when it launched in 2008. It was a revolution in character design with some of the most iconic faces of the generation to emerge from a single game. 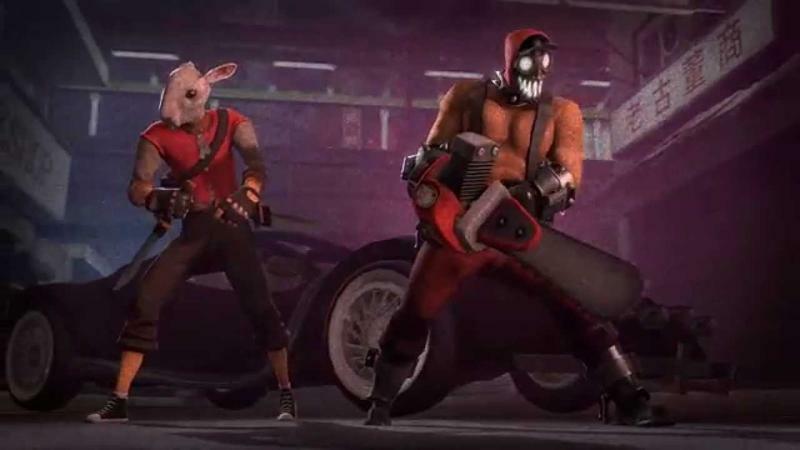 A few years later, after the release of software like Garry's Mod and Source Filmmaker, these characters were given a whole new purpose, to entertain us as the stars of fan made movies and screenshots. Take for example, this glorious recreation of Hotline Miami 2: Wrong Number's "Dial Tone" trailer. YouTube user Nonamesleft took the violent overhead action game and gave it a whole new dimension with the familiar faces of Team Fortress 2. Naturally, each of the boys is wearing a mask, a theme from the Hotline Miami games, and just as naturally, they go all out in murdering those who would get in their way using the bloodiest means possible. They use weapons that are only found in Team Fortress 2, and sometimes, they don't even use weapons and just punch away, which, unsurprisingly, is a legitimate tactic in Hotline Miami as well. Violent, hilarious, and spot on accurate to a T, this is why I love the Internet so much. Man, do I wish I had some kind of creative talent. Thanks a lot Nonamesleft for making my evening. You win. You can see the Hotline Miami 2: Wrong Number trailer below for comparison. The game will be available for the PlayStation 3, PlayStation 4, PS Vita, PC, Mac and Linux in Q3 of this year.